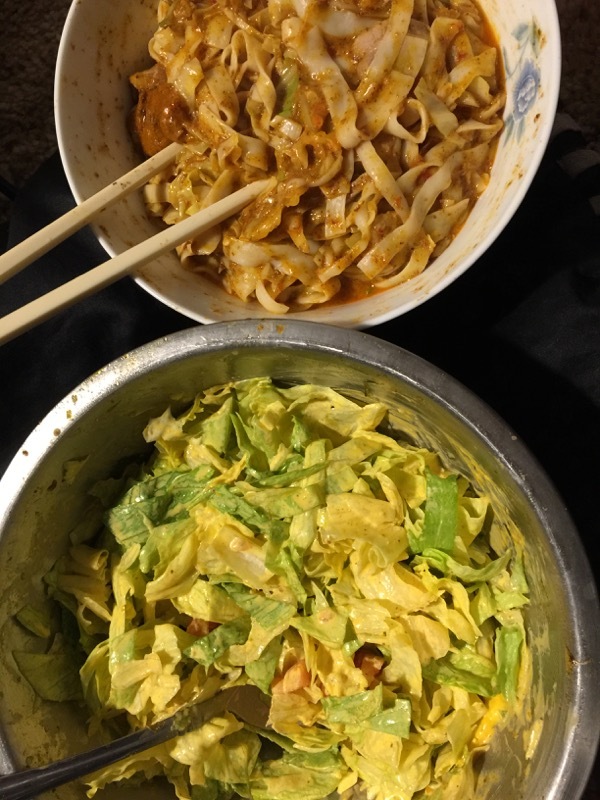 I found tofu based Fettuccine and other noodles-10 calories, 3 g carbs and 2 g fiber. I am eating noodles again!! Usually found in refrigerated Organic isle. Hows the taste or does it take on what ever you mix it with. That food looks so good Thud. I always enjoy looking at your pics. Thanks for posting! Last edited by Meme#1 : Mon, Sep-17-18 at 21:36. It is a touch firmer than regular, just had some with meatballs and low sugar pasta sauce. still trying different cooking times. It's shirataki with tofu added. I find the taste (which is pretty much non-existent) is the same as regular shirataki, the difference is the texture. It seems way less rubbery. I've never found cooking time to make any difference - they're already cooked, and I've even eaten them after only being rinsed and made into 'pasta' salad. For heated pasta dishes, I just heat them in a sauce pan with a bit of oil to prevent sticking; to let the excess water evaporate. That's after rinsing the heck out of them in a sieve to get rid of the weird fishy smell. My favorite way to "cancel out" the rubberiness of the noodles is to simply cut them up much smaller. I wish my store had the konjac "rice" or some other kind of small noodle, but I can only get the fettuccine and spaghetti.